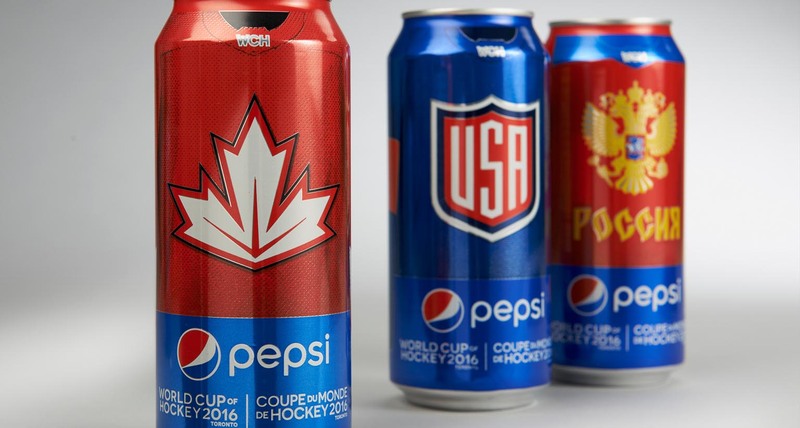 PepsiCo, an official partner of the World Cup of Hockey 2016, retained Shikatani Lacroix to design limited edition cans to highlight this partnership. 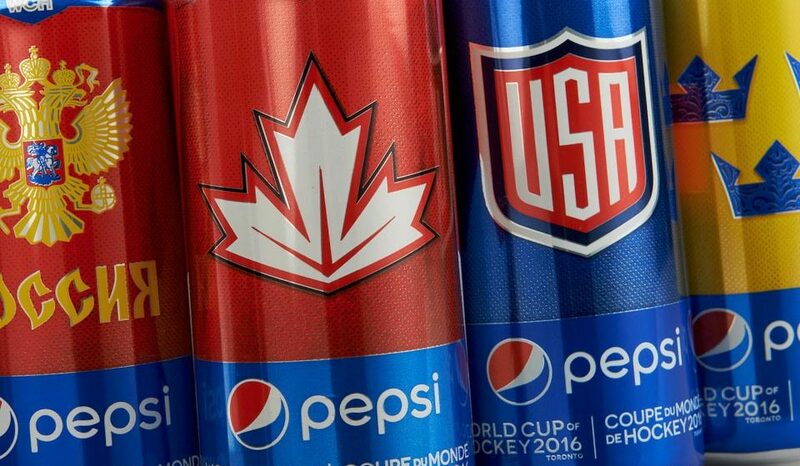 The 2016 World Cup of Hockey features eight teams competing for an international championship. Participating teams included Team Canada, Team Czech Republic, Team Finland, Team Russia, Team Sweden, Team USA, Team Europe and Team North America. 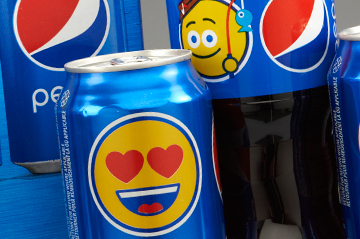 To highlight its partnership, Pepsi commissioned Shikatani Lacroix to create unique collectable memorabilia. 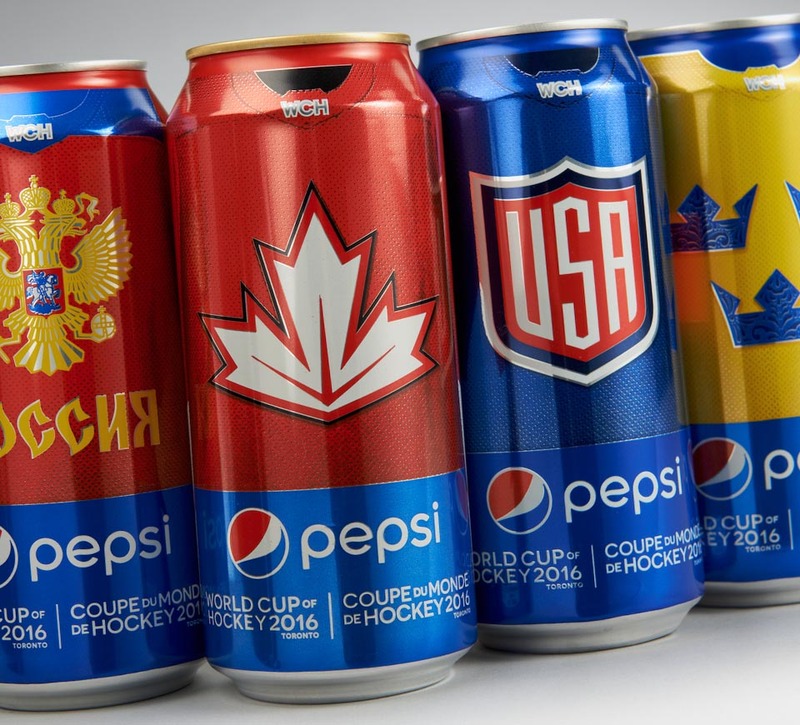 This included a diverse set of can designs that demonstrated the prestige of the tournament and celebrated the game with hockey fans. 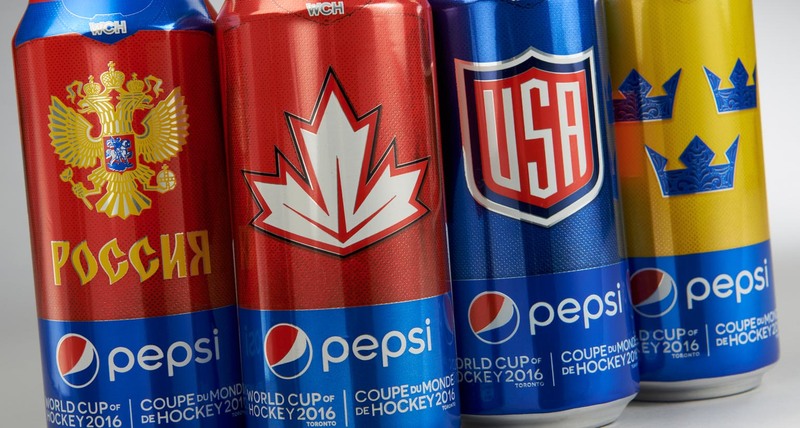 Shikatani Lacroix had to ensure the brand equity of all partners involved was maintained, including PepsiCo, National Hockey League (NHL), National Hockey League Players Association (NHLPA), and the World Cup of Hockey (WCH). 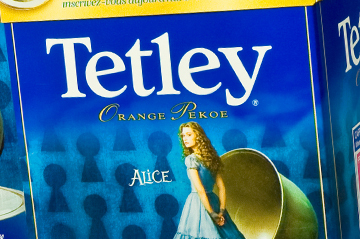 The limited edition packaging needed to have universal consumer appeal. 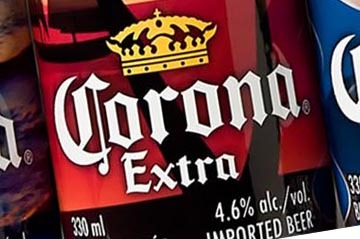 Replicating the established jersey designs, Shikatani Lacroix had to ensure the concepts looked realistic and dynamic on the packaging, while considering printability and maintaining the jerseys’ brand equity. 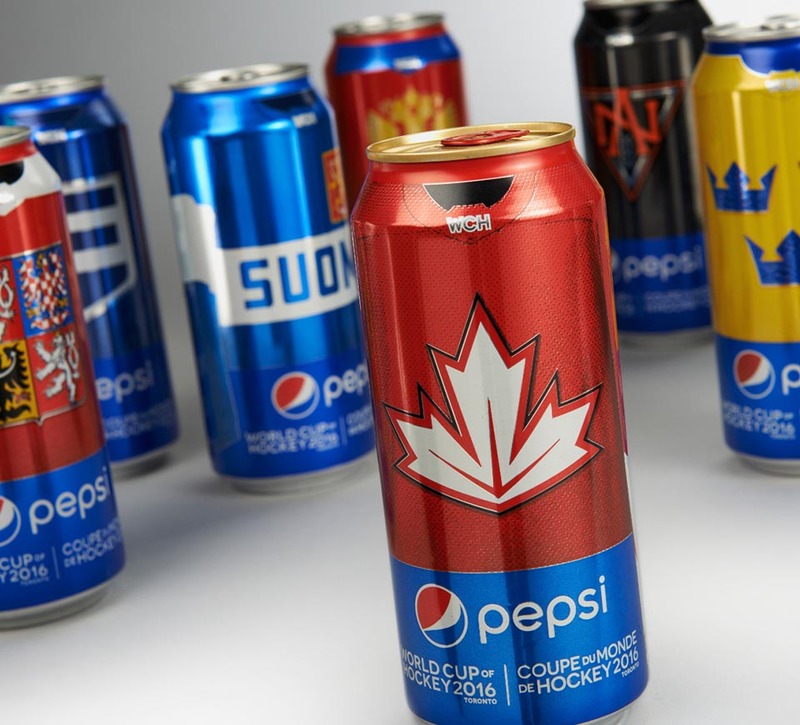 Working collaboratively with PepsiCo and the NHL, Shikatani Lacroix’s team of packaging experts brainstormed several different design ideas. Shikatani Lacroix and PepsiCo explored four design strategies – jersey, country celebration, event collectable, and player of the game – before selecting the winning jersey concept. 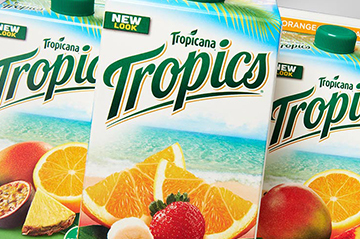 Through Shikatani Lacroix’s strategic process, research insights were applied to develop the most versatile designs, while ensuring they did not stray from Pepsi’s brand standards. 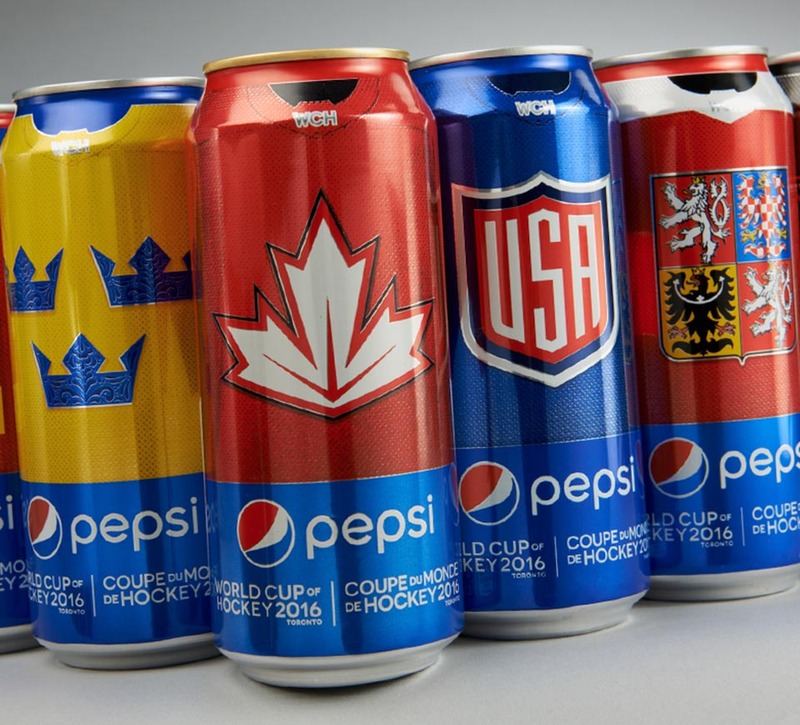 The limited edition designs transform the entire can into one of eight WCH team jerseys. The official WCH tournament jerseys were used for the designs. 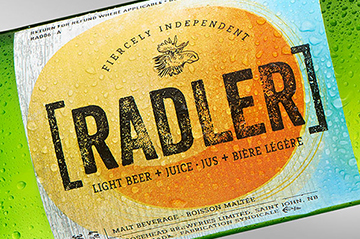 The design strategy focused on optimizing the surface area of the 473 ml can and texturing the graphic to portray realistic jersey material. 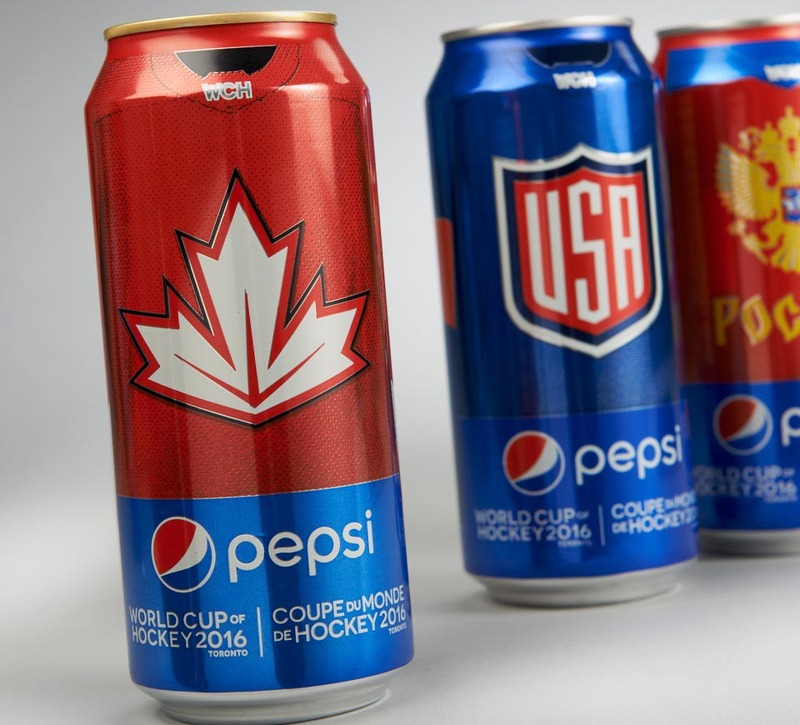 The unique and breakaway package designs demonstrate the prestige of the WCH, highlight Pepsi’s involvement with the tournament, and allow fans to support their team. 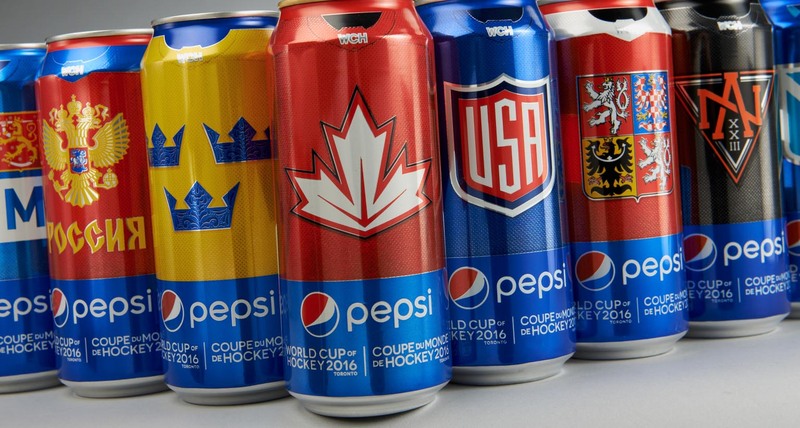 The personalized WCH team jersey cans were a big hit among hockey fans. 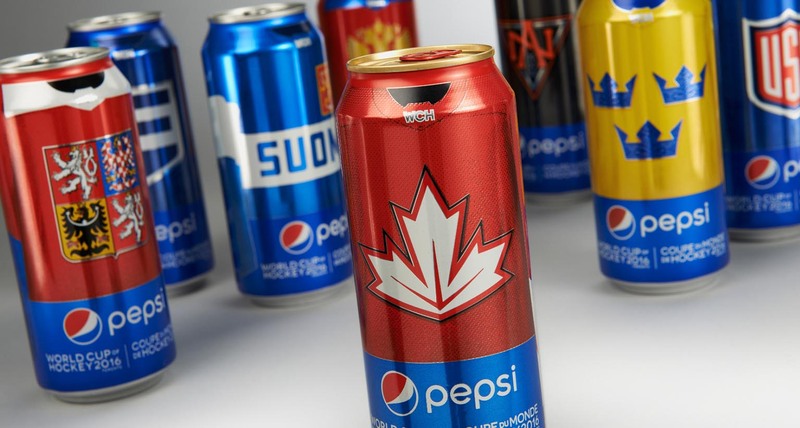 The one-of-a-kind design concepts encapsulated the excitement of the WCH and inspired conversations around hockey in Canada, while maintaining and strengthening Pepsi’s brand equity.